In Slovenia, Ljubljana a large warehouse district now is called Bitcoin city. It was founded in 1954, later repurposed in 1990 as a commercial shopping area. The area now is acclaimed “Slovenia’s largest shopping destination” and, as a matter of fact, is called BTC city. They introduced their strategies to the world of cryptocurrencies of becoming a Bitcoin city. BTC City has everything from hotels, office spaces, sports complexes to cinemas, waterparks and retail shops. Also, the city came up with a business plan. They claim that it is “the first of its kind in the world to provide its visitors, consumers and business partners with an ecosystem that will develop and integrate advanced technologies based on state-of-the-art approaches (blockchain, AI, Virtual reality, Augmented reality, Machine Learning and the world of cryptocurrencies),” says the Executives of BTC city. They also say they’re hoping Bitcoin City will flourish new businesses that push cryptocurrencies toward mainstream adoption and help to further develop blockchain technology. Even the ex-Prime Minister of Slovenia, Miro Cerar, visited the BTC facility. In the meeting, the former Slovenian State Secretary Tadej Slapnik, who is also a chairman at the World Blockchain Hub, bought him a “cup of crypto coffee” with cryptocurrency. Elipay supported the transaction. Eligma, which is a Fintech startup, developed the app. In the effort to become a BTC City, the plan is that Elipay will be the transaction provider in BTC City. More than 240 stores within Slovenia, mostly in Ljubljana, already are using Eligma’s cryptocurrency transaction system Elipay. Users can pay with Bitcoin, Bitcoin Cash, Ethereum and their native currency Eli token. Ljubljana is the economical Capital of Slovenia. The stores where users can spend their crypto are ranging from bars and restaurants to shops and salons. 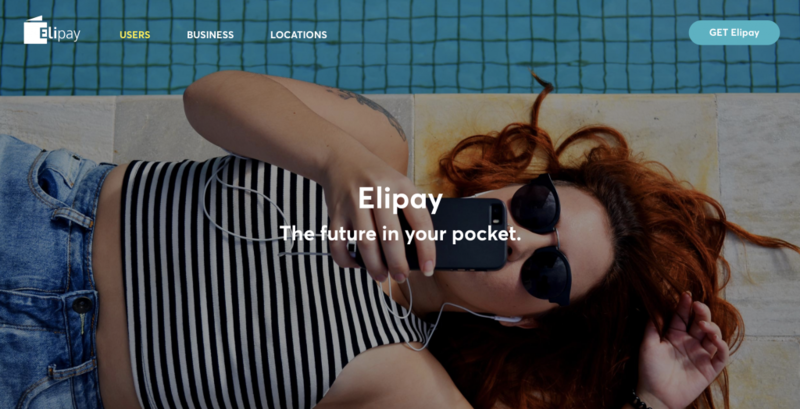 However, Elipay claims to become an all-in-one app integrating credit, debit cards, and loyalty programs. Moreover, their further plans involve expanding to U.K. this year. Additionally, in Ljubljana, there are several one-way cryptocurrency ATMs, along with the Blockchain Think Tank and what executives call the biggest crypto mining rig in Slovenia. Not sure how is it doing during this destructive bear market. Bitcoin city forming into a Bitcoin country. We congratulate Slovenia and its economic capital Ljubljana for taking such big steps towards cryptocurrency adoption. It’s good to see the bitcoin name spread! It looks like the bear market has no influence on Slovenia and Elipay, as they are achieving new goals and setting new highs. What looks like a Bitcoin city from the news articles, now is forming into a country made for cryptocurrency use and cyberspace. Slovenia quietly is stepping a large foot in the crypto arena. Judging by this article Slovenia has no rules against cryptocurrencies whatsoever. They even haven’t got a capital gains tax burden on crypto. However, mining is a different story. Crypto-mining carries a tax burden, as does conducting business using cryptocurrencies as a method of payment. But this doesn’t seem like is disturbing the business development of Bitcoin city. The best of luck to Bitcoin city, which now is starting to shape into a world’s first bitcoin country! Best Coin Investments 1 year anniversary! eToro is About to Launch Stablecoin Versions of Major Currencies! Bitcoin SV gets delisted from Binance and Shapeshift! Kraken might follow. The world’s most popular Youtuber joins blockchain streaming platform DLive! The Coordinator of Mt. Gox largest Creditor Group Steps Down! Coinbase Launches a Crypto Debit Card!